It has been an exciting fortnight with so much to take note of. Temperature is rising in part of the country I live in but thanks to few cool evenings with light showers. 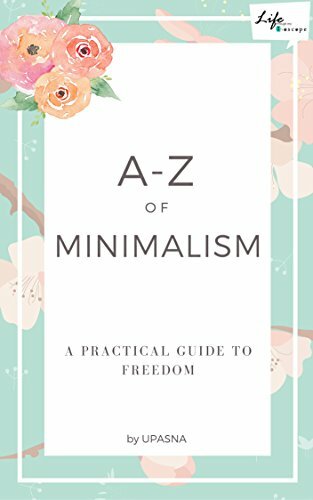 I have published my first E-book on Minimalism I had written for myself, to simplify my Life and now its time to take action. One of my friends is screened with Kidney stones and other is suffering from Spondylitis. This makes me more determined to follow Minimalist lifestyle and inspire others for the same. We are so much engrossed in our sedentary jobs that we are left with no energy to look after ourselves. I am planning to start a separate blog on Minimalism. Can I count you guys in as my subscribed readers? We look forward to reading your posts! It will be a Fortnightly Linky party which will go Live on 1st and 15th of every Month. No limit on word count- The quote can be typed or a graphic. The quote can be parenting related, inspirational, funny, sarcastic – anything you like. Linky will remain open for 10 days i.e. 10th June. Rohan & I will select our favorite quote to feature on the following link up. We will also tweet the favorite quotes! Write a new post and mention the Quote you are writing around. In the End, we will remember not the words of our enemies, but the silence of our friends. Martin Luther King, Jr.
Add the #QuotedStories badge to the HTML / Text portion in your post -or- a back link to “lifethroughmybioscope.com” or “rohankachalia.com”. Send us a message on twitter if you’re stuck, we’re here to help! Comment on both hosts posts and on a post before yours. That’s only 3! More is always a bonus! It would be easy to track if you to use #QuotedStories while commenting. INSTALOVE: You can also post your QuotePicture on your Instagram wall using hashtag #QuotedStories . Do tag me @life_through_my_bioscope and I will shout-out the most loved quote in the next linkup post. I do not even know how I stopped up right here, however I assumed this submit was good. I do not know who you’re however definitely you are going to a well-known blogger should you are not already. Cheers! Hello, thanks for the kind appreciation and wishes. You made my day a happy one. So good to hear that. Thanks for your kind wishes. Hope to see you often here. Congrats for your ebook Upasana. Yes, count me in for your new blog about minimalism. Actually, i know nothing about minimalism. Thanks Ramya. Wonderful! I will count you in then. Firstly, congrats on your book an Minimalism. I am sure it must be garnering a lot of interest. You have an interesting theme with the #QuotedStories. Hope to join in some time. All the best Upasna. Thanks a lot Kala. I hope to reach as many Indians as I can as we are drowned in this excessive consumerism culture. Will be happy to have you here Kala. If you have been simplifying your life, or thinking about living more minimally, you might be further along than you think. Goodluck for your separate blog on Minimalism. I look forward to read it. Thanks Roma for your support. I am constantly working on it.